Weapon X, a lot of time and money was put into him. He was an incredible weapon even after he escaped. Scientists in labs tried to turn test subjects into their next weapon, but they couldn't find anyone who could survive the adamantium bonding process. Eventually the man running the scientists decided to truly recreate Weapon X, but due to unforeseen circumstances they had to settle with something a bit different. 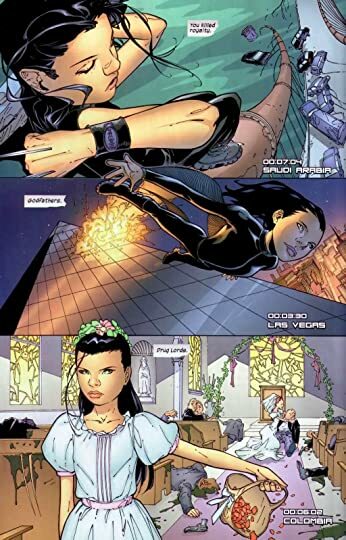 Innocence Lost is X-23's origin story. It took 23 attempts to recreate Logan and even then compromises had to be made. To some extent having a girl as a weapon is more dangerous, primarily because it's more unexpected. The comic book world like it's real world counterpart is a sexist place. No one fears a little girl until her claws pop out or she pulls a gun. In the same extent I have to say I felt worse for her than I would have if she was a boy. It makes no sense, but that thought kept popping into my mind. Reading Innocence Lost left me silently chuckling to myself. The reason is because no one has learned that a weapon that can walk, talk, and choose who it's going to kill is a bad idea. I mean haven't they seen any of the Terminator movies? Even their own history was bad, since Wolverine killed a good amount of the scientists and guards after he had adamantium bonded to his skeleton. Innocence Lost is kind of a heart wrencher, which also means it's a really good comic.